Vampire hunters have been showing up in Hollywood looking for trouble — but Pinball, the vampire bouncer/doorchick at Club Emoglobin, has something far more stressful to deal with: her all-too-human sister is coming to visit. Can Pinball keep her lifestyle a secret and protect her nest at the same time? 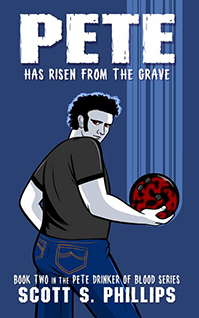 A stand-alone story set right after the events chronicled in PETE, DRINKER OF BLOOD. Also includes the first two chapters of PETE, DRINKER OF BLOOD. 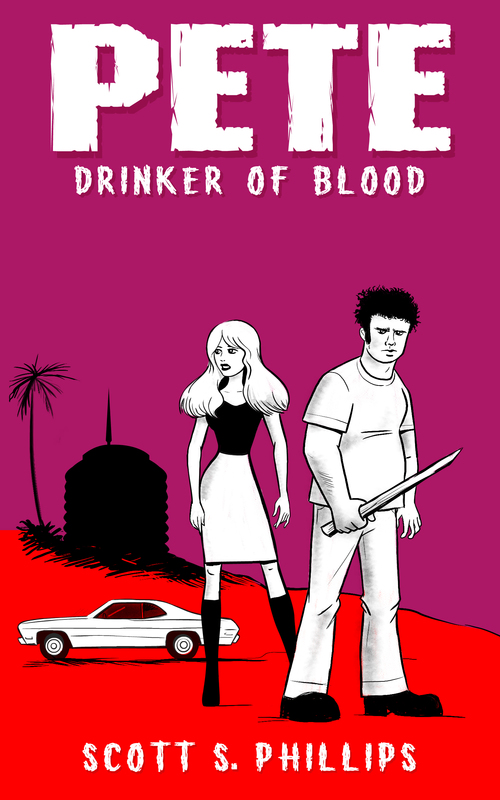 Book two in the PETE, DRINKER OF BLOOD series! Being a vampire in Hollywood should mean livin’ it up. Pete killed the bad guy, got the girl, and didn’t even lose his job in the process — but it’s never that easy, is it? Trouble soon rolls into town in the shape of Angie’s deadbeat dad, on the run from a gang who practice the basest form of the dark arts. Now, Pete not only has to meet the dad and fight off a bunch of greasy New York sorcerers, there’s also a new blood-drinker in town, and he’s got his sights — and fangs — set on Angie. Looks like somebody’s gonna find themselves on the wrong side of her vampire boyfriend.